Here are the deal and ethical standards for all parties involved in scientific publications, such as editor, reviewer, and author. 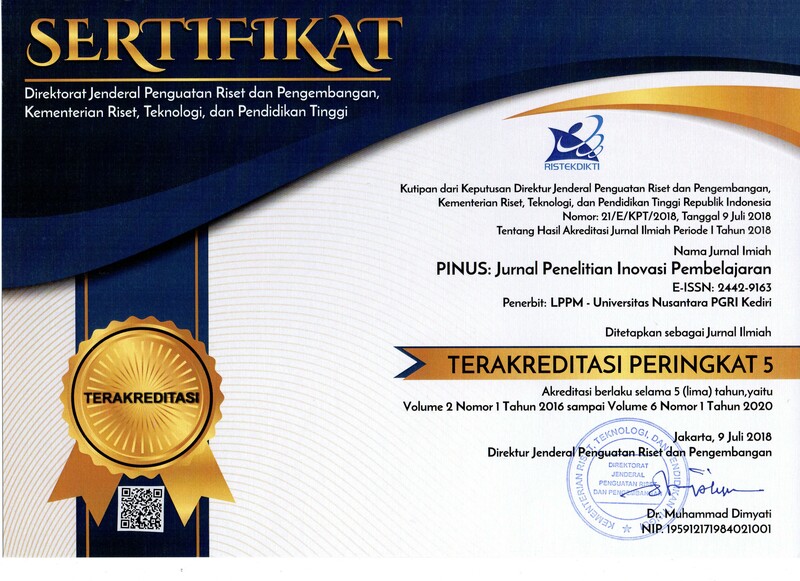 Editor of the Pinus is responsible for taking decisions manuscripts will be published in the Pinus. The editor can be guided by the policy of the editorial board and constrained by the requirements of applicable laws regarding defamation, copyright infringement and plagiarism. Editors can discuss with other editors or reviewer in making this decision. The Editor and editorial staff should not provide any information about a submitted manuscript to someone other than the corresponding author, reviewers, potential reviewers, other editorial advisers, and the publisher, as appropriate. The materials that are not published in a submitted manuscript may not be used for the editor's own research without the express written consent of the author. The review process may assist the auditor in making editorial decisions and through the communication between editor with the author will assist the author in improving the manuscript. Each manuscript has been accepted for review must be treated as confidential documents. The manuscript should not be shown or discussed with others except with permission from the editor. The review should be conducted objectively. Personal criticism of the author is not allowed. Reviewers must show clearly the results of the assessment along with supporting arguments. Unpublished material contained in the manuscript must not be used for the reviewer's own research without the written permission of the author. Special information and ideas obtained through a review process should be kept confidential and not used for personal purposes. Reviewers should not consider manuscripts that have a conflict of interest due to a script that is competitive, collaborative, or other relationships with one of the authors, or a company involved with the script. Authors of reports of original research should present an accurate account of the work performed as well as an objective discussion of its significance. The main data to be represented accurately in the script. The manuscript should contain sufficient detail and references that allow others to do the research again. Fraudulent or knowingly inaccurate statements constitute unethical behavior and are unacceptable. The author was asked to provide the raw data associated with the text for editorial review process and should be prepared to provide public access to such data , if practicable, and should in any event be prepared to retain such data for a reasonable time after publication.